It all started when my brother and I we're given a Playstation for Christmas. 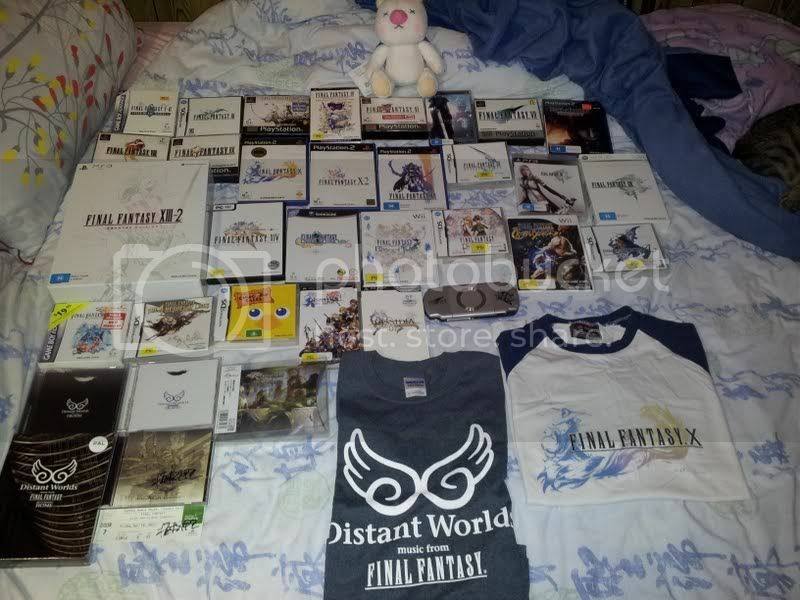 My most impressive game series collection is Final Fantasy. I even bought five consoles to play certain games. But missing from the photo is other things I've collected that relate to the series e.g figures, and extra copies from the PSN. Bunny what are your steam id's? Only one copy of FF7. Ive got 2. But damn that is a huge collection. Personally I love FFX. Kinda short on the story, but the time you can spend on it along with Blitzball, its just amazing! Also The Black Mages album and Ticket are singed by Nobuo Uematsu. I died when he shook my hand! Kingdom Heart, Dino Crisis, Pokemon, Dragon Quest, Silent Hill and a few other I collect too. Really should take a photo of the other games. 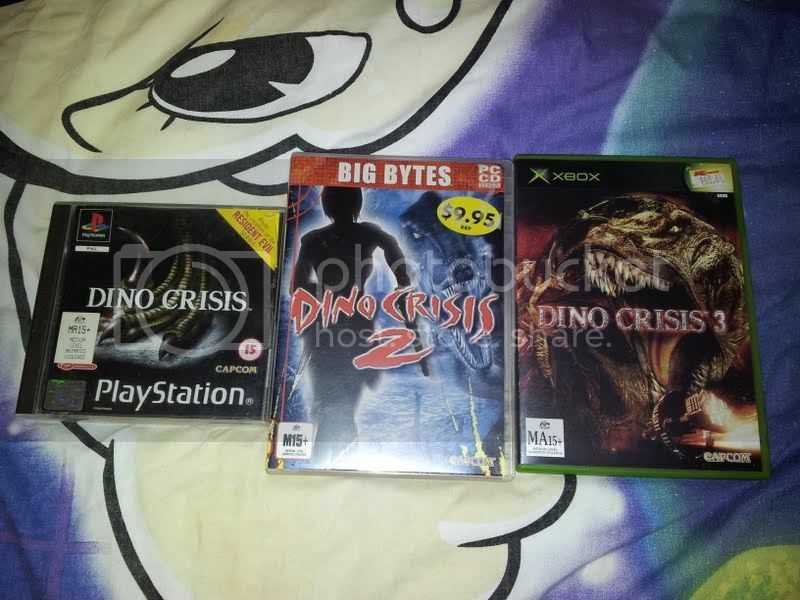 Dino crisis hello, that a digital copy or real thing? Yesh physical copies of each. I could never find an original copy of Dino Crisis 2 so I got my hands on the PC version. From what I remember you can set up a controller. Inappropriate avatars for the win! Pride of my game collection is an unplayed Valkyrie Profile US PSX. Still regret not buying a copy of Suikoden back in the day. FF-wise the 'rarest' things I've got would the PC versions of FF7 and FF8. Man, those were buggy. @Fury: MGS got redone for the GameCube back in the day. Under Dolphin on a PC I presume it'd look quite nice. It's Boobienator. Just look for the fat guy holding his moobs. @Shaid - I don't think I have anything super rare in my pile. Although at one stage there was two copies of Star Ocean 3 and 4. Gave them to a friend as a Birthday/Christmas present.